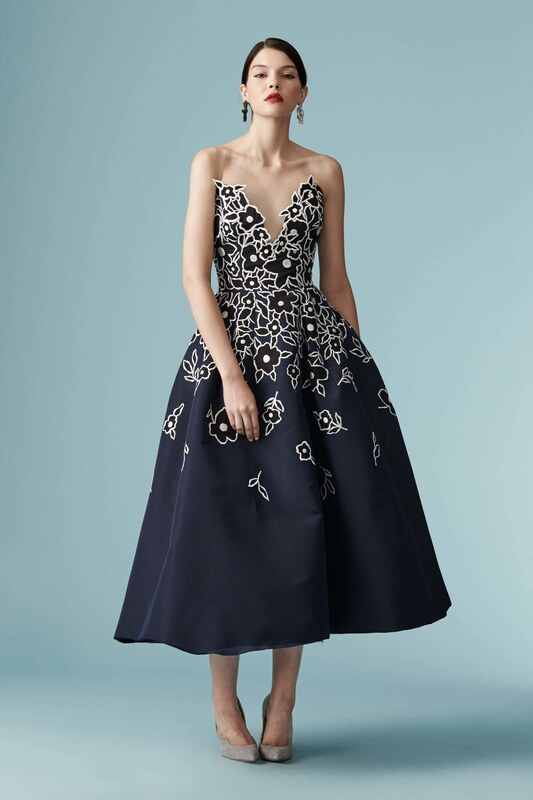 Carolina Herrera opted for modern classicism with her Resort 2017 collection, and all I can say is oh. my. word. perfection. 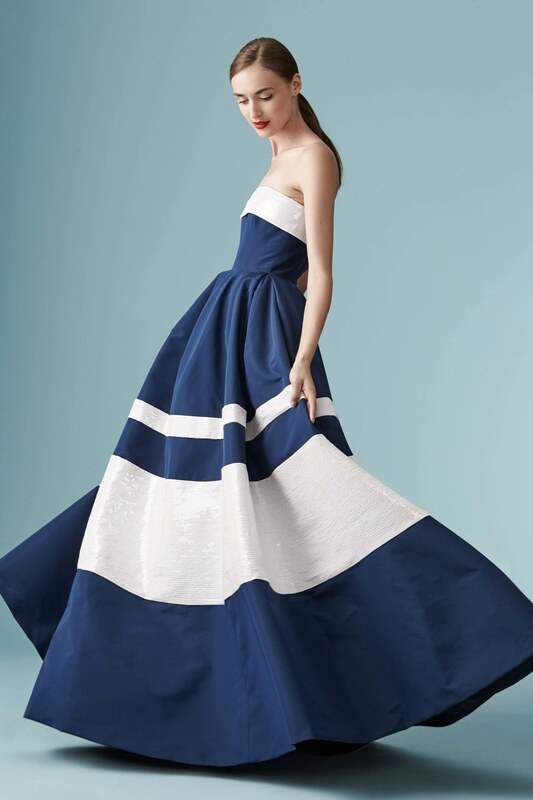 After 35 years in the designing business, this year is a bit of a milestone for her, and the collection definitely feels a bit nostalgic for heritage Herrera. Perfect for the current fashion clime that can’t seem to get enough of the vintage-inspired. While the looks had the simple polished refinement of Herrera’s yesteryear, they were also infused with a more youthful and energetic vibe. There was a navy blue and white striped jumpsuit with a double bow tie cutout bodice, as well as a similar bodice on a romper with metallic shorts. Super high waists met with wide crop top, which are incredibly flattering on most silhouettes. A sheer 3D floral petal peplum top mixes with chic denim cinch waist belt and skirt. A second shoot in black and white with actress Kiernan Shipka of Mad Men took the vintage meets youthful vibe to the next level. Tons of frothy tulle in tiers of classic A-lines met with plunging v-necklines. This season’s signature double bow tie cutout made it’s way into one of the evening looks, as well as a few polka dots, sequins, and even a few belt-line stripes. I think it’s safe to say I’m in love with most of this collection.